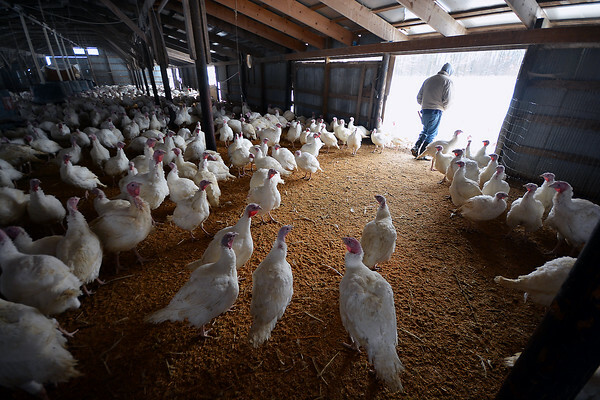 James Biehl, of Circle B Turkey Ranch in Mancelona, raises 4,500 birds each year, all harvested and sold fresh across the state before the Thanksgiving holiday. The free-range birds wander in and out of the barns at will. Biehl said his birds end up in stores across the state, but he still has birds available. He can be reached at 231-587-9580.